In a celebration to mark the birth of Prophet Mohamed (Moulid Al-Nabi) on 19 November, President Abdel-Fattah Al-Sisi lamented that so little has been done to turn his repeated calls for the reform of religious discourse into reality. “It is really sorrowful that some still insist on giving perverted readings of Islam. Everyone must play their role in correcting these misguided readings of Islam, and stand up to those who hijack its teachings and distort them,” said Al-Sisi. Ahmed Al-Tayeb, the grand Imam of Al-Azhar, criticised those “who only want to depend on the Quran and abandon the traditions of Prophet Mohamed in their understanding of Islam”. In his speech Al-Tayeb, who did not mention the reform of religious discourse, opposed those who want to abandon “jihad, opting instead to follow the culture of the West and colonialists”. In contrast, the Minister of Religious Endowments Mohamed Mokhtar Gomaa heaped praise on President Al-Sisi’s repeated calls for religious discourse to be reformed. 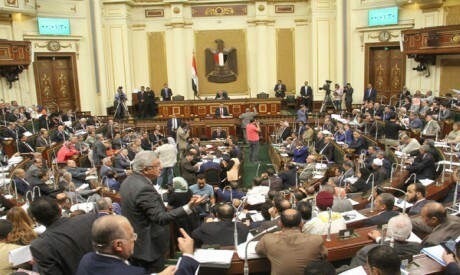 MPs and thinkers almost all agree clerics, particularly from Al-Azhar, have not paid heed to Al-Sisi’s calls for religious reform. Mohamed Abu Hamed, an independent MP who has proposed many laws to reform religious discourse, told Al-Ahram Weekly that despite President Al-Sisi’s calls “religious reform has not yet become a priority”. “Reforming religious discourse took centre stage when President Al-Sisi first took office in 2014, only to be relegated by other priorities like fighting terrorism and solving economic problems,” said Abu Hamed. Abu Hamed says MPs have tried to submit legislation on religious reform many times, but to no avail. “MPs have proposed laws regulating religious fatwas, banning the niqab and preventing Salafi clerics from taking Friday’s prayers,” he said. Al-Ahram analyst Nabil Abdel-Fattah agrees that religious institutions, particularly Al-Azhar, have not shown much interest in religious reform. “Many clerics feel threatened by extremist movements which describe them as regime loyalists,” said Abdel-Fattah. Abdel-Fattah accuses clerics of “rigidity”. “They are fond of following the interpretations of mediaeval clerics though these are just personal opinions,” says Abdel-Fattah. Islamic thinker Tharwat Al-Khirbawi says clerics are acting to disrupt Al-Sisi’s calls for reform. “Clerics hate the words reform and enlightenment and love the words imitation and legacy,” says Al-Khirbawi. In a press interview Al-Khirbawi said overhauling the prophet’s hadiths (traditions) should take priority. Salah Salem, an Al-Ahram commentator on political and religious affairs, agrees intellectuals should take a pioneering role in pushing religious reform forwards. Independent MP Ismail Nasreddin told the Weekly that parliament had not done enough to promote religious reform.